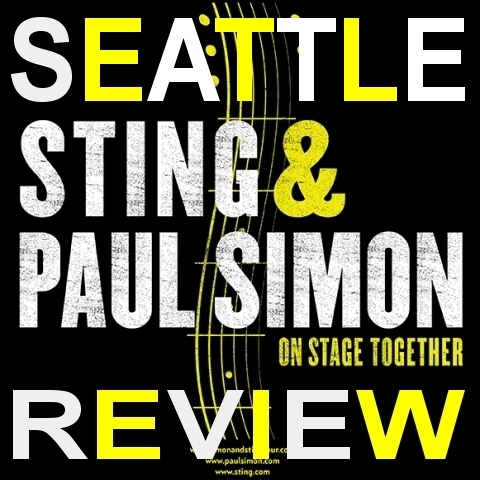 The improbable pairing of two baby-boomer icons - Paul Simon and Sting - enthralled a capacity crowd at KeyArena Wednesday in what Simon affectionately called "our little experiment." Blending their respective bands and repertoires into a powerful evening of rock 'n' roll infused with world rhythms, Simon and Sting took turns performing separate sets as well as stirring duets of each other's most beloved songs. The two friends, neighbors and fellow New Yorkers - who launched their "On Stage Together" tour earlier this month in Texas - expressed a deep admiration for each other that began years ago, when Simon was performing with Art Garfunkel in the folk duo Simon and Garfunkel and Sting with The Police. Separated in age by 10 years - Simon is 72, Sting 62 - the two rock stars proved they have much in common. 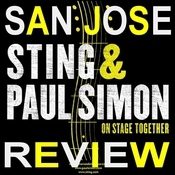 "To play with Sting - and Sting's band - it's a happy combination," Simon said. 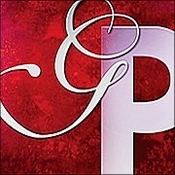 Concertgoers got the best of both worlds, enjoying such Simon hits as "The Boy in the Bubble" and "Mother and Child Reunion" and the Sting/Police classics "Message in a Bottle" and "Roxanne." The show included more than 30 songs. The predominantly middle-aged crowd was animated, jumping to its feet for the evening's first singalong - Sting's "Englishman in New York." On the main floor, ushers were busy keeping people out of the aisles, while alcohol-enforcement personnel in bright-red shirts searched for concertgoers gone wild. Backing Simon and Sting was a talented musical entourage capable of managing the complex arrangements of more than two dozen songs. Instruments included guitar, bass, keyboards, French horn, cello, harmonica, accordion, trumpet, saxophones and washboard. The tall, handsome Sting (playing electric bass) and his diminutive touring partner, Simon (on a variety of guitars), opened with "Brand New Day," "The Boy in the Bubble" and "Fields of Gold" (famously covered by Eva Cassidy). Sting began his own multi-song set with the soaring 1981 Police song "Every Little Thing She Does Is Magic." Simon's buoyant "Graceland" and boisterous "Me and Julio Down by the Schoolyard" brought standing ovations. The pair's beautiful duet on "Fragile" was followed by Sting on Simon and Garfunkel's "America," as well as impressive versions of Police classics "Message in a Bottle" and "Roxanne." The two musicians complemented each other beautifully on "Boxer," from Simon and Garfunkel's breakthrough 1970 album "Bridge Over Troubled Waters." In the evening's only medley, Simon performed "Hearts and Bones," as well as Jr. Parker's "Mystery Train" and Chet Atkins' "Wheels." He also offered "The Obvious Child," "Diamonds on the Soles of Her Shoes" and a rocking "You Can Call Me Al." Encores featured both singers on "Late in the Evening," "Every Breath You Take" and "Bridge Over Troubled Water." The two stars returned for the Everly Brothers' "When Will I Be Loved," a tender tribute to Phil Everly, who died last month at 74. It was the final song in an extraordinary concert. The "experiment" Simon had referred to at the beginning was clearly a success. 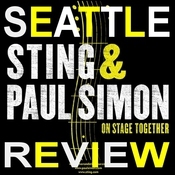 For more reviews from the Seattle show please visit http://www.sting.com/tour/date/id/2915 where you can view the setlist, leave your comments about the show, post images of your ticket stub and your photos from the show!